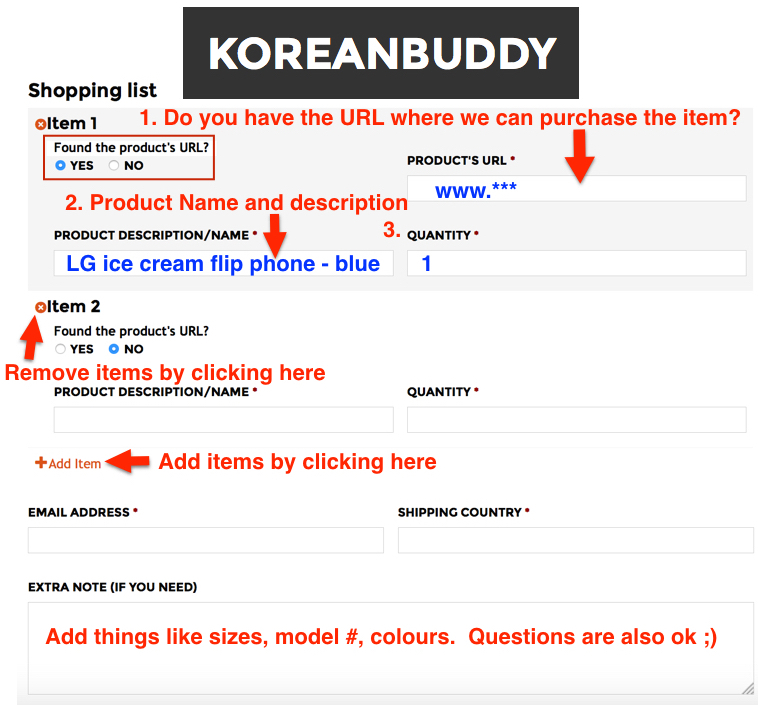 In this guide I am going to show you exactly how to find specific items, pick options and sizes, and the get the required information to order off of Bongja Shop using KoreanBuddy. Let’s look for 2 items, ripped jean shorts for under 20,000 won and an A-line skirt for under 30,000 won. This site has young fashions and good prices. You can see girls in their teens, 20’s and early 30’s wearing these fashions in Korea. 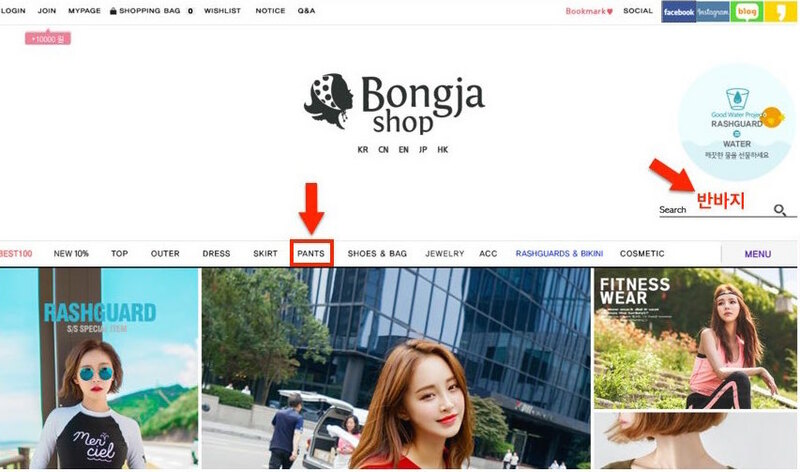 Tip #1 – Bongja Shop has their website in English, Chinese, Japanese etc, however the prices are MUCH cheaper on the Korean site. Congratulations, you just saved 10%-20%!!! Tip #2 – The search function only works using Korean. If you want to use the search, go to the fashion glossary and copy and paste the Korean word for the items you want to search. Tip #3 – If you do search in Korean on the English site, you get Korean results with USD prices which are more expensive ㅋㅋㅋ. I’m going to search the Korean site because I want to save 10-20%. Product #1: Ripped jean shorts – Searching the keyword “반바지 ”shorts” only brings up 25 results, but clicking the category brings up 154 results. To see shorts, click on “pants” in the main menu and then scroll down a little and click on “short pants.” If you are on the English site, click “bottom” to find shorts. I scrolled down and found some ripped jean shorts for 21,000 won ($17.75USD). These shorts are $22.04 on the English site and $22.60 on the Japanese site!! To order these shorts 1. copy the URL and paste it into the order forms on KoreanBuddy 2. copy and paste the product name. 3. Tell us the options you want, color and size etc. Here there are 3 sizes S,M,L. If you scroll down to the bottom you can see the measurements, but not the waist size. See our clothing size charts for full size comparison. For now S in Korean is an American 4, M is a 6 and L is an 8. The order form on KoreanBuddy where you enter the information looks like this: Product #2: A- line skirt – Click “skirt” from the top main menu and then you can search A-line, H-line or long skirts. After clicking A-line I see there are 97 results. I found this basic skirt for 23,500 won. There are three colors and when you click on size, we see the FREE SIZE option. The skirt has some elastic waist band, but Korean free size skirts will fit up to about an American size 8 only. So to order, again, 1. copy the URL and paste it into the order forms on KoreanBuddy 2. copy and paste the product name. 3. Tell us the options you want, color and size etc. Scroll down a bit and we can see the shirt the model is wearing and a bunch of other up selling. If you have any difficulty with this process please send me a message on the chat. I will get back to you quickly.